It is important to know that bariatric surgery involves much more than just an operation. We want you to understand the process because your chances of success are better if you are well informed, motivated, and committed to doing your part to create a healthier you. Click below to expand each step in a typical weight loss surgery. Deciding to undergo weight loss surgery is a major decision that will have a dramatic effect on your lifestyle and eating habits. It is important that you are well motivated and informed before you are even evaluated by your surgeon and our multidisciplinary team. Information about weight loss surgery is readily available, and it is important to learn as much as possible before meeting your surgeon. Magazines and news papers, the Internet, as well as talking or meeting with other patients who have undergone a procedure or are considering surgery are good ways to learn about the process of weight loss surgery. We offer free preoperative informational sessions that can also be helpful. Finally, it is important to discuss the possibility of surgery with your primary care physician. Your doctor knows your medical history best, and may have important information regarding your qualifications for surgery. After you have attended an information session and have learned about weight loss surgery, an associate at BMI will call you to set an appointment for consultation. The phone number for the Center is (815) 717-8744. Our insurance coordinator will gather your insurance information, and to schedule a consultation with a surgeon. The Bariatric Nurse Specialist will help you calculate your body mass index (BMI) based on your weight and height. If your BMI is greater than 40, or greater than 35 with significant obesity-related health problems, you may be a candidate for weight loss surgery. You may use the BMI calculator located on this website to determine your own body mass index. Your surgeon will make the final decision regarding whether you are a candidate for undergoing a bariatric procedure. Your appointment at BMI’s Surgery Center will begin with meeting one of the Bariatric Nurses to obtain more medical history. You will also meet with your surgeon to review this information and answer any questions you may have. You will be able to discuss the risks and benefits of undergoing bariatric surgery to help determine if surgery is the right choice for you. Together with your surgeon, you will decide if you are a potential candidate for surgery, and if you should begin the preoperative work-up. The preoperative testing required depends on your individual health status and history. Everyone undergoing weight loss surgery at BMI Surgery Center must meet with their surgeon, the Bariatric Nurse Educator, a Dietitian, and Exercise Coordinator. All patients will also see specialists in cardiology and pulmonary medicine, and psychology, as well as have routine lab work. Further testing, such as a sleep study to test for sleep apnea or a stress test to check for heart problems, may be necessary depending on your individual health status. This work-up can be arranged through Silver Cross Hospital, or may be done closer to home if you are traveling a significant distance. Most insurance plans will cover weight loss surgery s long as the National Institutes of Health guidelines for body mass index are used as qualifying criteria. However, some plans do have a weight loss surgery exclusion clause or have their own set of criteria to meet prior to granting approval. Approval must be obtained for your surgery. The Insurance Coordinator at BMI will assist you with obtaining authorization. Your surgeon will also send a letter to your insurance company to document why the procedure is medically necessary. In some cases, appealing an initial insurance denial or even changing insurance companies may become necessary. You are strongly encouraged to lose some weight prior to your procedure. It may be difficult to lose weight, but even a few pounds of lost weight prior to the surgery can make for an easier and safer operation. Binge eating and weight gain can cause your liver to become engorged with fat, which can make the operation more difficult and injury to the liver more likely. Two weeks before surgery, you will be on a preoperative diet. This diet consist of mainly high protein liquids. You must not drink anything carbonated or eat anything with caffeine. You should take nothing by mouth after midnight before surgery except important medications with a sip of water. Your surgeon and primary care doctor will help decide what medications are critical prior to surgery. Silver Cross Hospital staff will tell you what time to arrive for your surgery, usually about two hours before surgery is scheduled. During this time you will change into a hospital gown, have an IV started, and meet with your anesthesiologist and surgeon. The operation will last from 1-3 hours, depending on your weight, the operation that is being performed, and any prior surgical history. Your family can wait in the Surgery Waiting Area and your surgeon will find them after the procedure to update them. After surgery, you will be taken to the Recovery Room. The breathing tube that is used during surgery for general anesthesia may be removed in the operating room or once you have been moved to the recovery room. Your anesthesiologist will monitor you closely as you wake up from anesthesia. Most patients remain in the recovery room for a couple of hours, and then are moved to a room on Silver Cross Hospital's Surgical Unit. After you arrive in your room the nursing staff will be monitoring your pain control, and administer pain medications accordingly. You will be asked to begin walking the halls approximately four hours after surgery. Early ambulation is an important part of a safe and more rapid recovery. You will also be encouraged to take deep breaths and use a device called an incentive spirometer to help reduce your risk of pneumonia. The night of surgery you will be allowed to eat ice chips and have sips of some liquids, but will not be allowed to have anything to eat. The first day after surgery most patients start the Stage I Bariatric Diet, which includes low calorie and non-carbonated liquids and sugar-free Jell-O. You may undergo an x-ray study where you drink a small amount of contrast liquid. 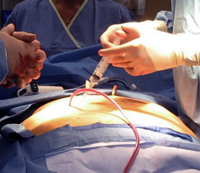 If you had a catheter in your bladder during the surgery it is usually removed on the first day after surgery. You will also start to take oral pain medications on the first or second day after your surgery (pills or liquid form). 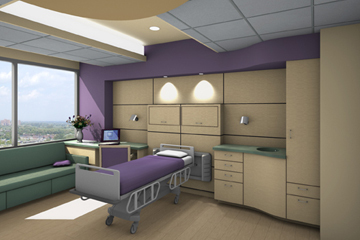 You will be discharged on the first or second day after surgery depending on the type of surgery you had performed. Prior to discharge you will be given detailed instructions regarding your recovery, medications, and follow-up. Your medications will include pain medication, a chewable multivitamin, a sleeping pill and any other essential medications your doctors prescribe. You will be able to take most medications after surgery. BMI will tell you which medications to avoid. Your first postoperative appointment will be approximately one to two weeks after surgery. Your wounds may be covered with white tape (steri-strips) when you leave the hospital, but these strips will fall off over the first week or so. You may shower during this time, but you should not take baths or go swimming. You may resume driving once you stop taking narcotic pain medications and no longer have significant pain. Most patients take off work for about one to three weeks, depending on the individual job situation. The remainder of the follow-up care, including dietary, exercise program and facility, support groups, and educational seminars will be arranged for you. This will be outlined for you during your office visits and seminars.